Built by old world craftsmen and employing the most modern technologies, the 68 Islander sets a new standard of cruising comfort for the entire family. 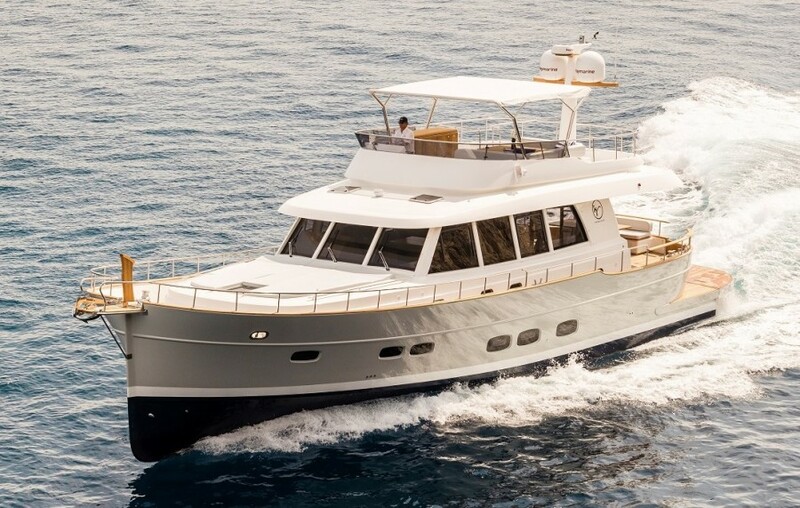 At nearly 65.5 feet in length, with a beam of nearly 20 feet, the new Minorca flagship is a true passage maker. As with the models before her, the design of the 68 Flybridge was inspired from traditional Menorcan fishing llaüts. 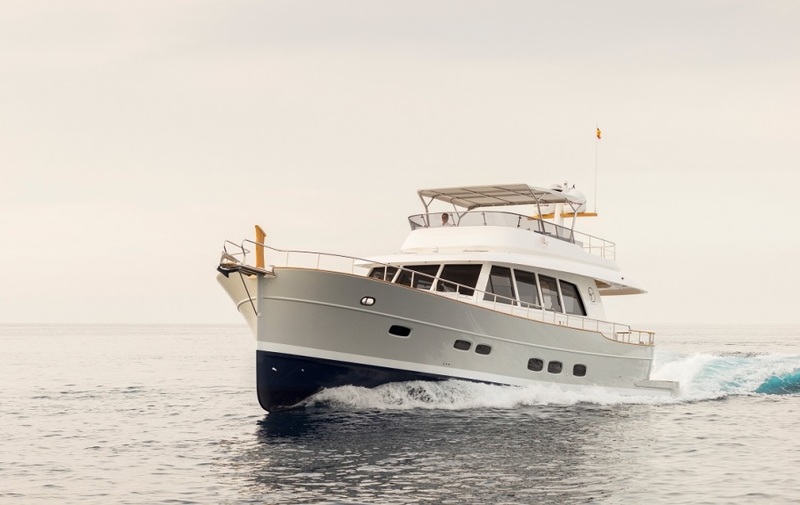 Sasga Yachts, along with the Barracuda Yacht Design team, have effectively transformed the traditional Spanish llaüt into a luxurious, livable, and technologically advanced vessel. The 68 was built using a resin infused hull molding process. This superior construction process produces a strong, lightweight hull that has a perfect fiberglass to resin ratio, resulting in maximum strength and efficiency. The deep V, semi-displacement design delivers a smooth, seaworthy ride. Made for economical cruising, the 68 has cruising speeds of 10-12 knots and a max speed of 24 knots. 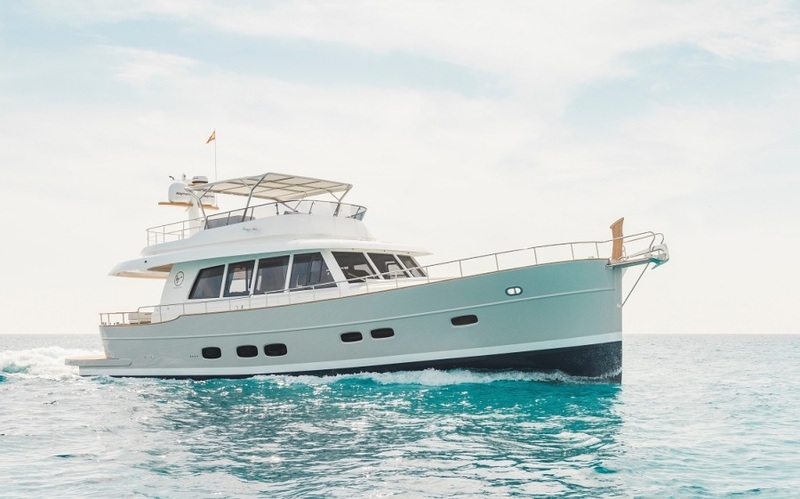 The spacious flybridge is fitted with an external elevated helm and an essential fixed-arch bimini. 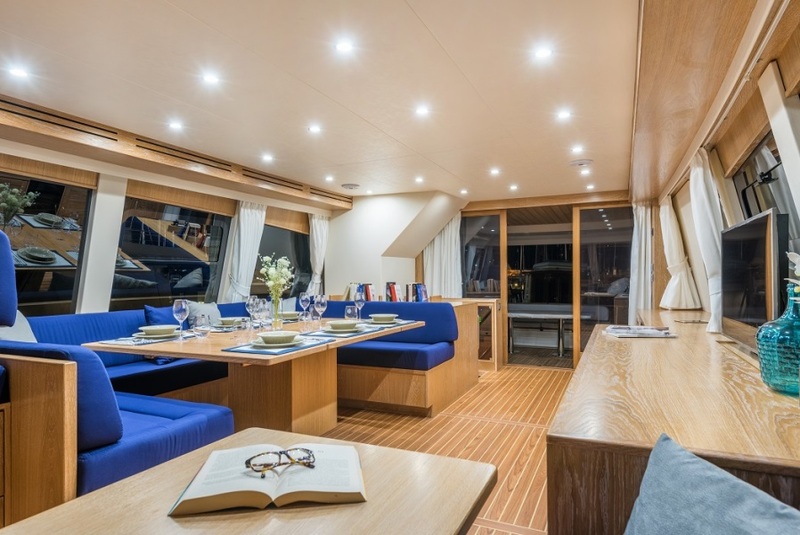 The flybridge also features a galley, large sun pad, and seating for up to eight people to enjoy the 360-degree view. 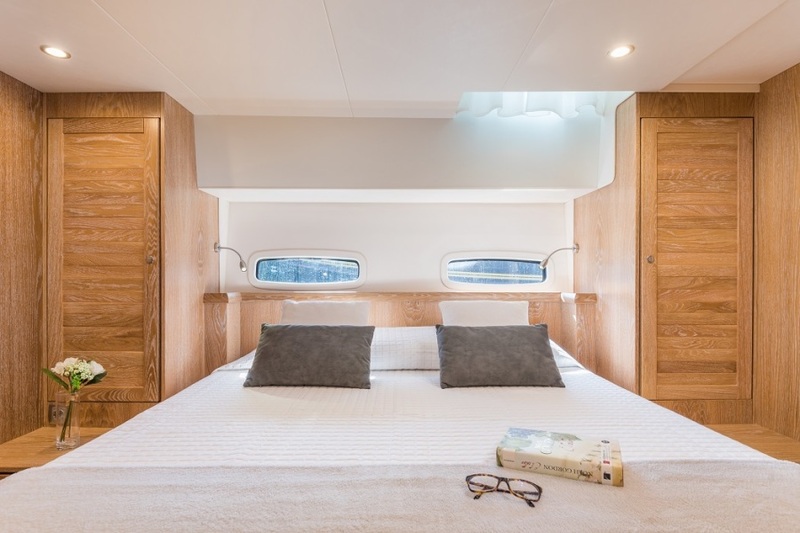 The yacht's interior features enormous, luxurious living spaces with elegant, light oak woodwork. The salon is enclosed by large windows for optimal visibility and natural light. The galley is located next to the main dining area and aft-terrace patio, but is offered as a galley up or down option. 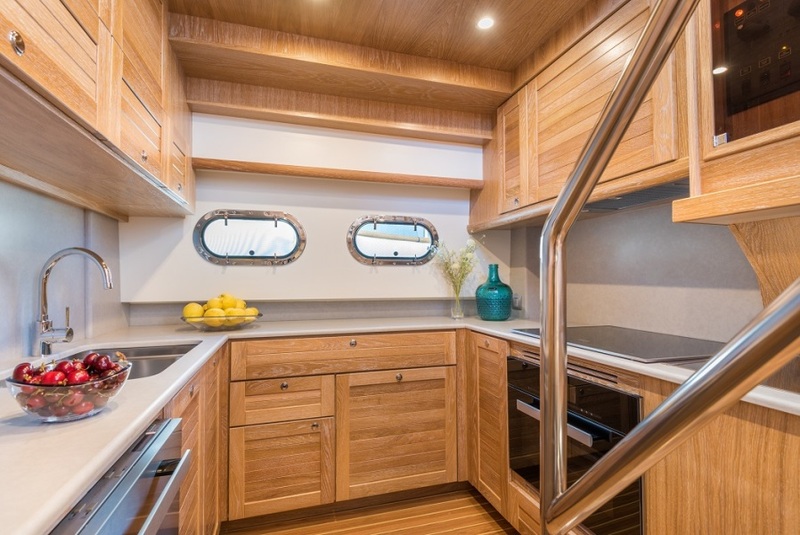 This fully fitted U-shaped galley is a showpiece with plenty of cupboard and counter top space. 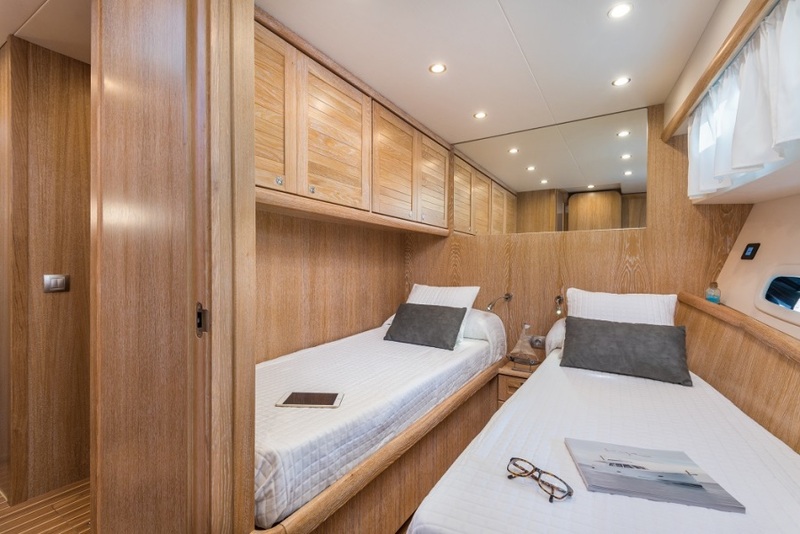 The lower deck offers two standard accommodation options. 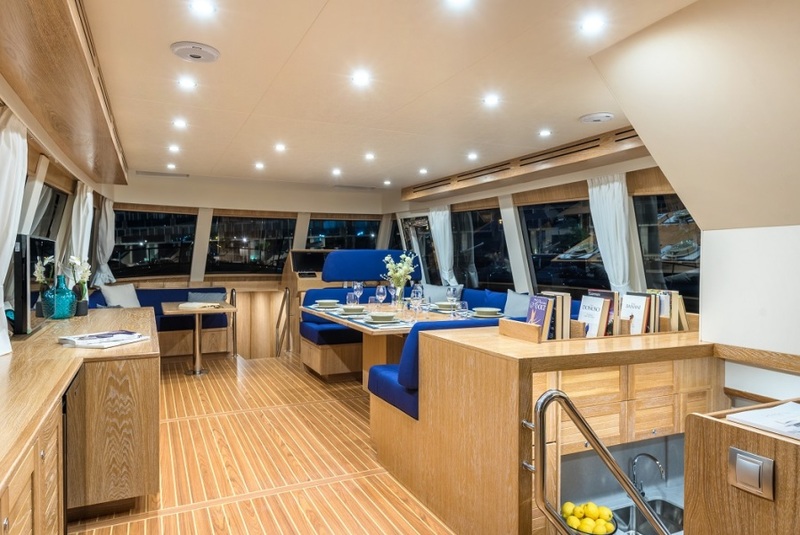 However, many interior configurations are available that will certainly fit your cruising needs exactly. 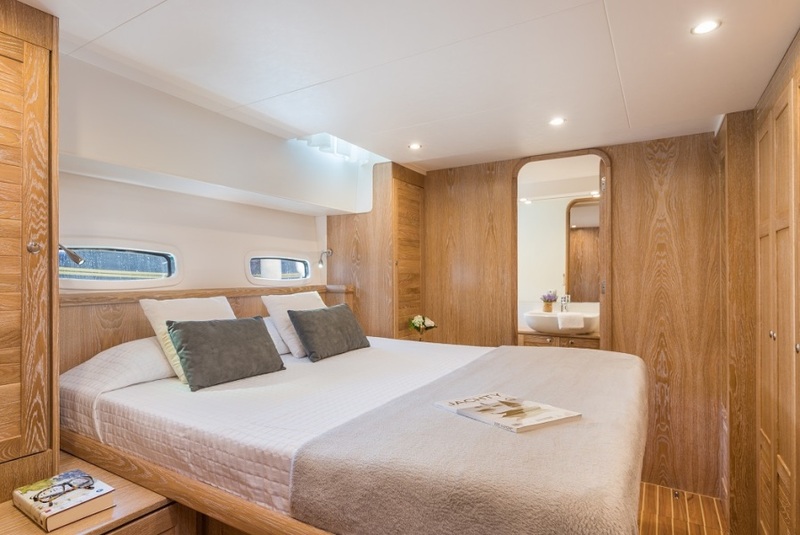 The standard six-person layout option (plus two crew berths) features a full-beam master stateroom, with a double en-suite bathroom. Guests have the option of a starboard twin-berth cabin or a double-berth VIP cabin at the bow. 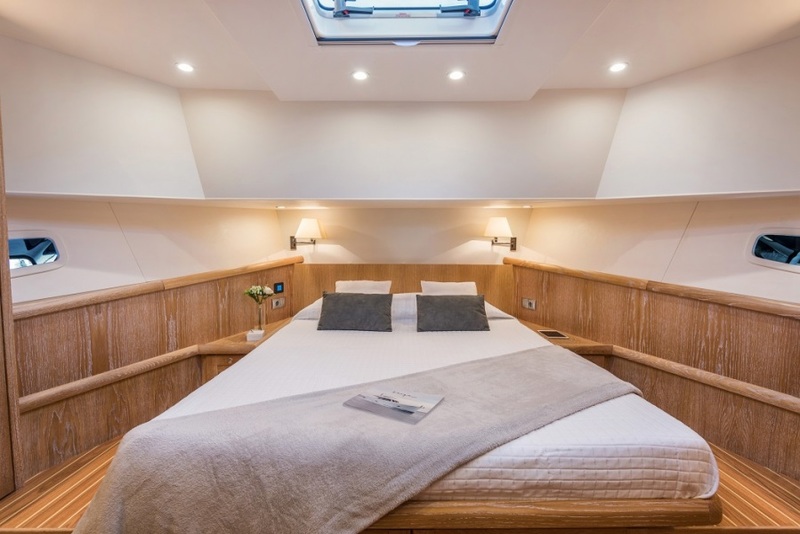 The second standard option is an eight-person layout (plus two crew berths) comprising two separate, double-berth VIP cabins, a starboard twin-berth cabin and a double-berth master cabin at the bow. Captivating both the weekend cruiser and those seeking to conquer longer passages, Minorca's new Islander 68 will take you from your favorite local hideaway to the most picturesque harbors of the world. SYS Yacht Sales is proud to be your exclusive distributor for Minorca Yachts in the Americas. 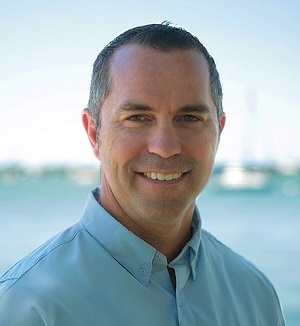 Contact Rob Welling to learn more about the Minorca design, current in stock models, and quick build times.